I remember summers as a kid in the public pool in Downey California. Each year my mom signed me up for swimming lessons which I ended up enjoying, though it began with a rough start. At 4 years old my first lesson was startling to say the least. The main objective of lesson #1? Learn to hold your breath. How, you may ask? The pedagogy of the day was for your teacher to hold you in his arms, count “1, 2, 3” and then take you under water. A nose full of liquid and coughing only eclipsed the instruction to “close your mouth while we do it again”. This was repeated until you confessed to witchcraft, or learned to hold your breath, whichever came first. Fortunately, after 10 times or so, i figured it out without having to claim i was a 4 year old warlock. When my swim teacher that summer was Wally (Tony Dow) from Leave It To Beaver! The coolest part was a couple summers later after 1st grade. 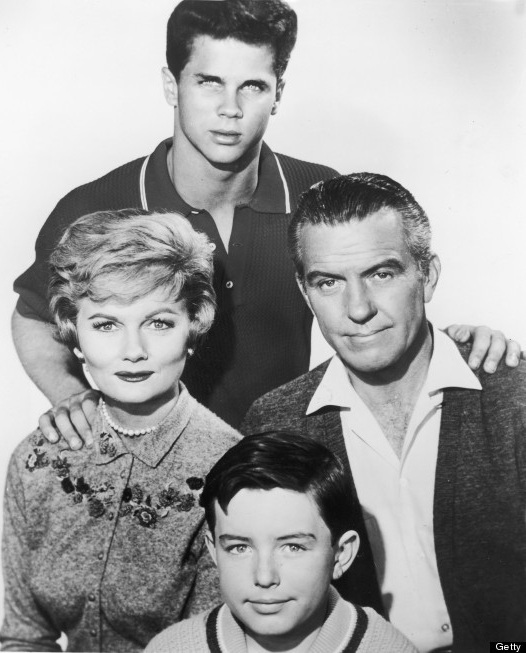 I got introduced to my teacher for my private lessons and when I saw him, I gulped: it was Wally from Leave it to Beaver! Yep, Tony Dow taught me how to swim. I was too nervous that day to let on how star struck I was. I just did whatever he said and did not speak at all. Over the course of that summer, I grew more comfortable with Tony as a teacher and by the end of it, he was teaching me how to dive. Amazing. I had gone from water up my nose to the high dive in a couple years. i am thinking today that this may be how many of you feel when it comes to multisite church. Launching them, working to sustain them, and praying they will thrive to become a vital community for people and their families to learn to follow Jesus together can feel like taking in water while you are being held under by unfamiliar forces. It can also expand yours and your church’s kingdom capacity. My leadership function on our team is to oversee the strategy that turns guests into connected serving members on all our campuses. Over the last 3 and a half years, we have launched 3 new campuses in 2 different states. We are currently launching our 5th campus in Redlands California and I feel the water up my nose already. I also feel my capacity expanding…and my church’s as well. Multisite for us hasn’t all been a victory march. We have had big challenges. We started one campus 2000 miles away with 30 people, many retired, that were unfamiliar with our church’s culture when they started and only a small 5000 square foot facility to meet in. Another one has wrestled at times to feel permanent and autonomous while it meets in a high school not too far from our broadcast campus, with unexpected staff changes affecting momentum and stalling growth as well. Another one has some parking challenges and had to start significantly in the red financially due to an unforeseen 7 month construction delay, all after their staff had already been added to our payroll. I’m sure you could bullet point similar challenges in your multisite experience. We all feel over our heads in this world of campus launching and kingdom expansion. In spite of our challenges though, God has done some great things and we have learned to swim. Our campus of largely 30 retirees has become our fasting growing campus with 4 full services, 4 generations strong, with ethnic diversity and almost 1200 people at their Christmas services. 28 of the original core are still there! Our campus that meets in a high school decided to leverage their location and grew their Christmas attendance by 102% over last year by having around 1100 people come to a parking lot ice skating rink, petting zoo and churro fest that drew visiting families into their services. Our campus with construction delays has set the pace for Next Step attendance and full implementation of our assimilation strategy. New Christ followers are taking their place in His family and in ministry roles in a way that touches me big time whenever I am on their campus. The core of 40 people at our Redlands campus has grown to almost 100…and we haven’t even launched the campus yet! Our next campus will be launching in 2 months. It’s a merger of an older congregation over 50 miles away from our broadcast campus. The attendance was around 40 people mostly over 60 years old. In December they moved into their former fellowship hall to worship while we renovated their sanctuary. Their new campus pastor, Matt Feldcamp, is leading them as we do live worship but bringing them messages from our Anaheim campus via video. Oh, and did I tell you that they come to us from a non-instrumental worship tradition of acapella only music? We are underwater for sure. But as we have fallen in love with these senior, kingdom minded Jesus followers, and began facing our challenges head on with them, I can hear God holding us in the swimming pool as He says “1, 2, 3…” and our capacity is expanding. That attendance of 40 has grown to almost 100…and we haven’t even launched the campus yet. I predict that when we do, they may have a core of 130 to 150 in addition to all the new people who will come through our community invitation strategy. To top it all off, I feel like sneezing water out my nose because I just finished leading 10 full tables of them through our Next Steps Experience in January. Ideas, tips and encouragement on the growth issues surrounding multisite ministry is what the latest episode of our All About Multisite podcast is all about. We are focusing on the lack of growth on campuses in particular. Future topics of this monthly podcast are determined by the questions you send in so keep them coming. Subscribe to the podcast on iTunes, as new people are finding value in joining this conversation all the time. At one point in December, All About Multisite was the 3rd most downloaded podcast in the Spirituality/Religion category on iTunes. I couldn’t believe it. Our panel loves these conversations. We get a lot our of them and I am confident you will too. So when you feel like crying, “Help…our church campuses aren’t growing”, know this: Your capacity for experiencing something you have never done before is growing when you feel like you are going under. “1, 2, 3” and a nose full of water is the precursor to the high dive. To book a Skype, Zoom or Facetime session with me and your team, click here. For my best resource on how to get guests to stay and stick at all your campuses, click here. To invite me to retool your staff for 2 days in 2019, click here. To follow me on Instagram, click here. To ask Rich Birch a question to answer on our All About Multisite podcast, email him at rich@unseminary.com. See you in the climb!